A foundational piece for the modern wardrobe. 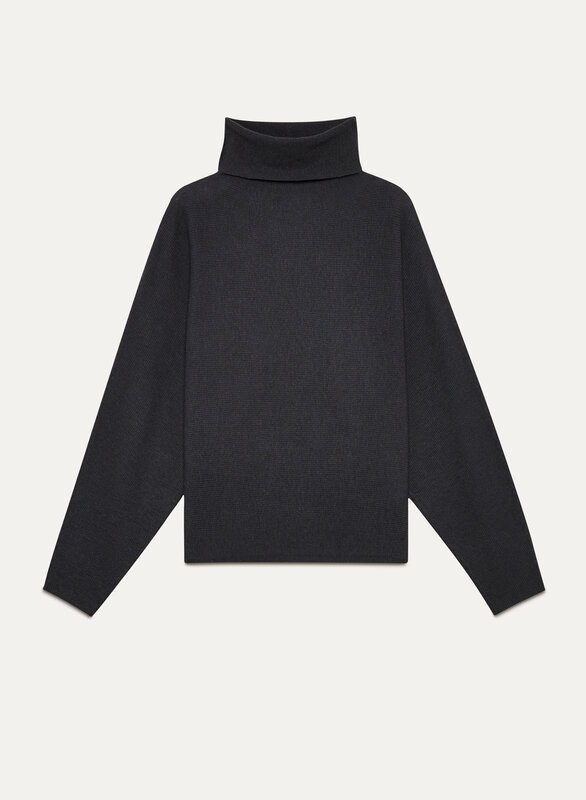 This easy, relaxed-fit turtleneck is knit from a wool-linen blend for just enough warmth and a ton of softness. Bought the sweater online and when I tried it on, was not what I expected. Fabric was soft but thinner than I thought. Still felt nice though. However the sleeves were 3/4 length and the the top itself only hits the top of my hips, not like the model. Thought it'd be okay, just wasn't the style I expected. However when I raise my hands, the bottom od the sweater goes all the way up past my waist. Definitely not practical. 2 stars because fabric and style was still nice, just not practical or what I was looking for in comparison to the photos. I bought this sweater before christmas in the kinetic colour and thought it was great. When new colours came out I bought a couple more because I liked the one I had so much but was dissapointed to see that since then, the measurments are different. The sleeves are way shorter than the one I have but still very wide and baggy, and the material isn’t as soft. Very comfortable and stylish, I’m glad I bought two. 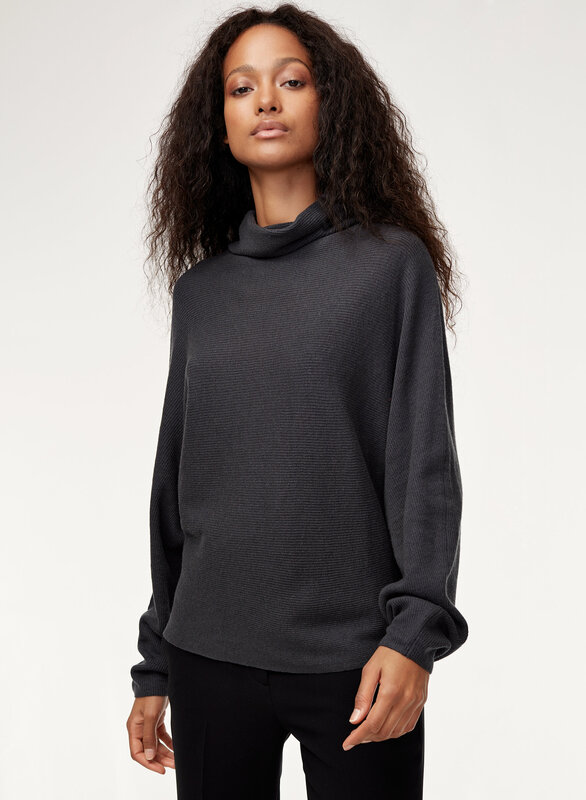 Photo pictures a longer oversized sweater and full sleeves, actual sweater is cropped at the waist, 3/4 sleeves and ballooned at the underarms. The picture is incredibly deceiving. I hand washed this sweather in cold water and it shrank to half the size! Now it looks like it is made for a small child. I got the Andy Sweater in Kinetic colour on boxing week sale. I agree with other reviewers that the sweater is supposed to be oversized, however it's not that oversized compared to other sweaters that I owned from Aritiza. I would recommend to go up a size if you are looking for the "oversize look". The fabric is very soft and not too think, it's good for transitional seasons as well. I absolutely loved this sweater. I wear it as often as I can, however, it does run short. It's supposed to be oversized, and it is, however it is not when it comes to length. Still wear it all the time though. I love this sweater - the color, the feel... but it was too short for me to keep. I could not wave hello in it. I am going to exchange it for a medium to see if the length is better. I wish it came in a variety of colours. Love this sweater. Very happy with my purchase. Nice fit, fabric is nice and soft. Well made. I would recommend to a friend.